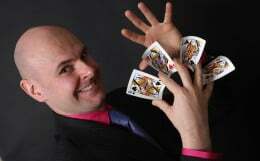 Daventry is a wonderful location for the magic of Northamptonshire entertainer David Fox. 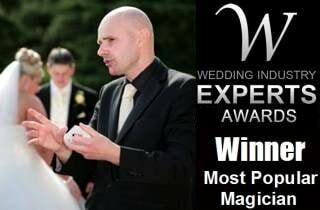 Whether he is amazing summer crowds in Daventry Country Park, captivating wedding guests at Dodford Manor, or enchanting corporate clients at Fawsley Hall, David Fox's magic is truly world class. He is the must-book magician in this part of the Midlands. At a recent birthday party in the Drayton area, David Fox moved effortlessly among the guests... Minds were read, objects mysteriously levitated, money disappeared and jaws dropped... For wonderful bespoke magic, illusion, enchantment and more around the Daventry locale, contact Magic Circle maestro David Fox now.